The Bates College Museum of Art’s purchase of a painting by Marsden Hartley, a major figure in American Modernism, is one of the outcomes of a $100,000 grant to the museum from a foundation in New York City. 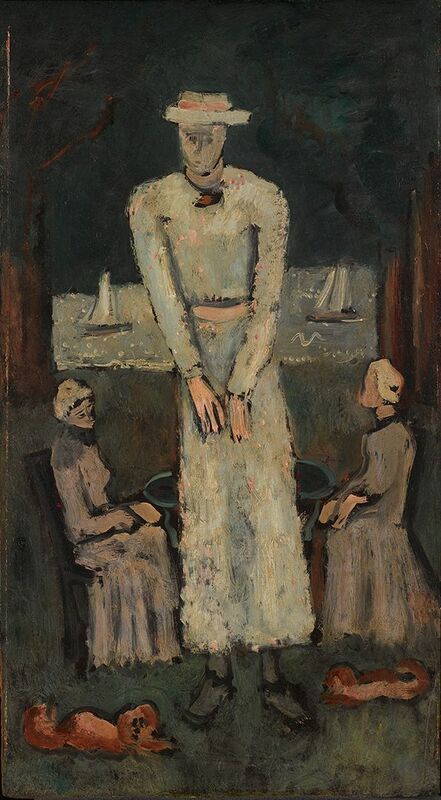 Half of the grant from the Mr. and Mrs. Raymond J. Horowitz Foundation for the Arts has helped fund the purchase of “Intellectual Niece,” a late Hartley work depicting his niece Norma Berger. The purchase dovetails nicely with the museum’s plan for the remainder of the grant, which was approved in February. 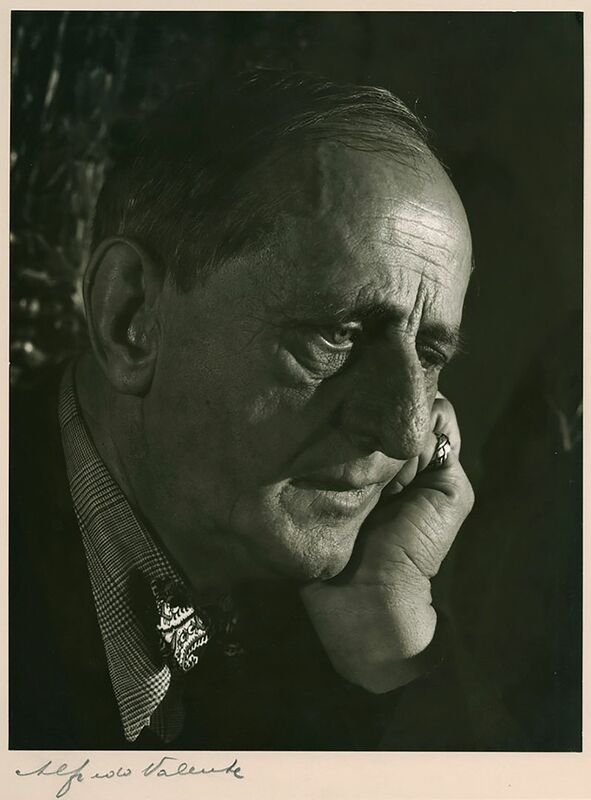 The $50,000 will fund scholarly documentation of items in the museum’s Marsden Hartley Memorial Collection as part of the development of a fully accessible online catalog of the collection — a collection made possible by Berger’s generosity. The museum’s Hartley collection comprises artwork by Lewiston native Hartley and other notable artists, his personal library, and a treasure trove of his personal effects. “The Horowitz Foundation grant further strengthens a definitive Museum of Art resource,” says museum Director Dan Mills. “The Hartley Collection, which includes the largest collection of Hartley drawings anywhere, provides unique ways of understanding the life and creative work of an important American artist. “The Horowitz grant, along with other recent grants, is enabling us to conserve, research, and document the collection, and to make it more accessible. And ‘Intellectual Niece’ is a significant painting that is important to and a great fit for the collection,” Mills continues. “Intellectual Niece” was acquired from Nova Scotia residents Chris Huntington and Charlotte McGill. Art collectors and longtime supporters of the museum, “they have donated significant drawings of Hartley’s, as well as work by other Maine artists,” says museum curator William Low, who works closely with the Hartley Collection. “Intellectual Niece” is the first significant Hartley painting, as opposed to works in other media, that Bates has acquired. Norma Berger was Hartley’s “most intimate relative later in life,” Low says. “She was his favorite correspondent, someone he was very close to. The collection grew from two gifts that followed Hartley’s death in 1943. His heirs gave Bates the remaining effects from his home and studio in Corea, Maine, in 1951. In 1955, Berger made a gift of Hartley artwork including 99 drawings. Hartley’s influence remains potent. Just in the past couple of decades, his work has been the focus of high-profile exhibitions in Hartford, Fort Worth, Berlin, Los Angeles, and elsewhere, a string culminating last year with Marsden Hartley’s Maine, a landmark show organized and shown by the Metropolitan Museum of Art and the Colby College Museum of Art. And continuing interest in Hartley means continuing interest in the Hartley Collection at Bates. Hartley scholars and aficionados visit campus increasingly often to avail themselves of the resource, says Low. The Hartley aura also attracts artists interested in the possibility of having their work included in the museum’s overall collection, whose roots in the Hartley holdings are evident in Bates’ collecting focus on drawings and works on paper. Totaling more than 400 pieces, the collection includes art by Hartley in other media and work from his personal collection by friends and colleagues including Sprinchorn, Mark Tobey, and George Platt Lynes; Coptic, Mexican, and Asian textiles; pre-Columbian objects and Luristan bronzes; photographs; and the artist’s personal library. In sum, the collection affords unparalleled insights into Hartley’s work, his life, and his times. But fully realizing that value depends on work that will be supported by the Horowitz grant and by grants previously received by the museum from the Henry Luce Foundation and from the Coby Foundation. The Horowitz grant focuses on updating scholarship for the various components of the collection, Low explains. The Luce Foundation grant is supporting more “mechanical” aspects of managing and cataloging the collection, such as making digital images of collection items and creating the online database. The Coby grant is funding conservation of the fragile textiles in the collection.